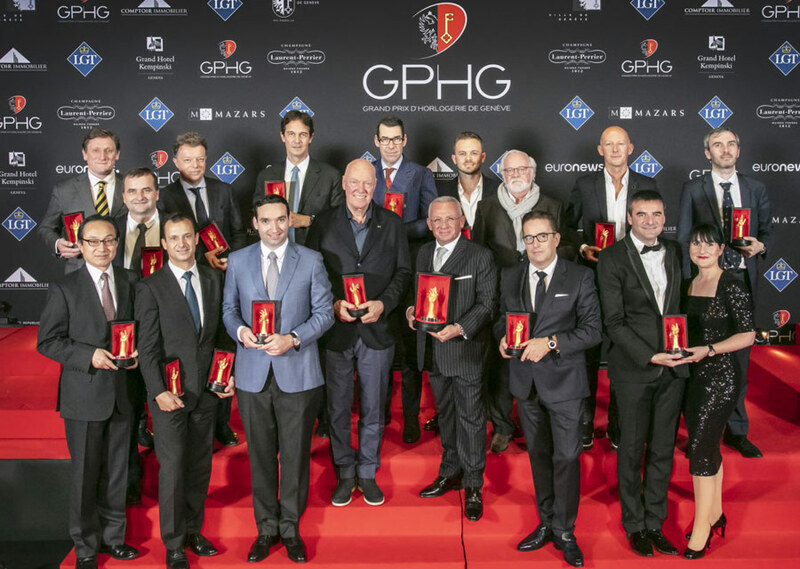 Geneva, November 9th 2018 – the prize-winners of the 18th Grand Prix d’Horlogerie de Genève (GPHG) were unveiled this evening on the stage of the Théâtre du Léman. Excellence, creativity and horological expertise were saluted by an international jury which had designated the winners of 17 prizes and awarded the “Aiguille d’Or” Grand Prix to Bovet 1822 for the Récital 22 Grand Récital watch. The prestigious distinctions rewarded the work of the following brands: Akrivia, Chanel, De Bethune, Greubel Forsey, Habring2, Hermès, Konstantin Chaykin, Krayon, Laurent Ferrier, Nomos Glashütte, Seiko, Singer Reimagined, Vacheron Constantin and Van Cleef & Arpels. The Special Jury Prize, which honours an influential actor on the watchmaking scene, was awarded to Jean-Claude Biver. Presented by actor Edouard Baer and enlivened with songs performed by Véronic DiCaire, this 18th prize-winning ceremony took place before an audience of 1,300 guests who had congregated in Geneva to celebrate the vitality of the watchmaking art.